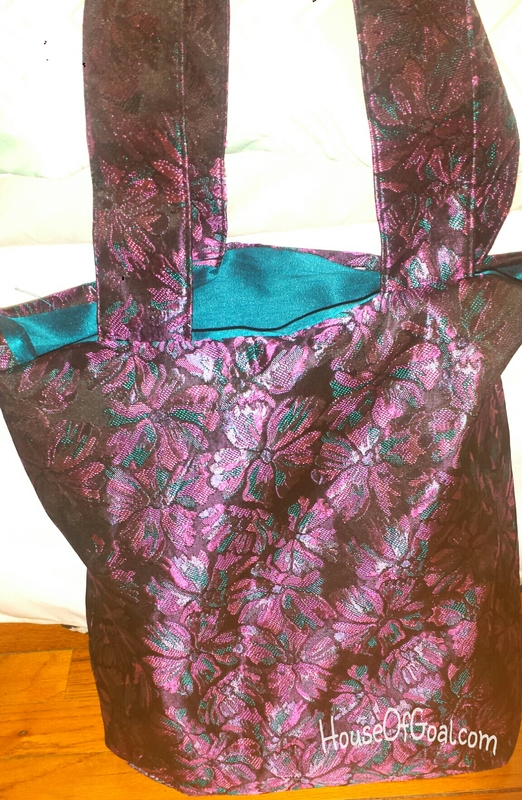 I used a Teal colored Taffeta for the lining. 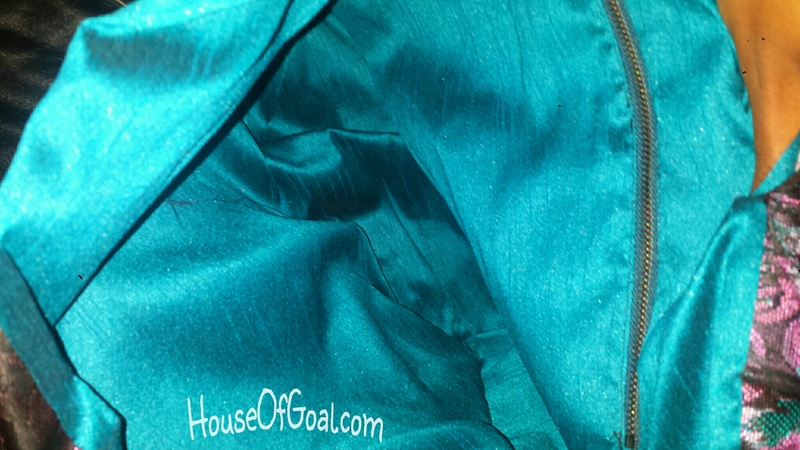 Completed with a 9 inch, close, metal teal zipper. The pocket is 9 inches wide and about 6 inches deep. 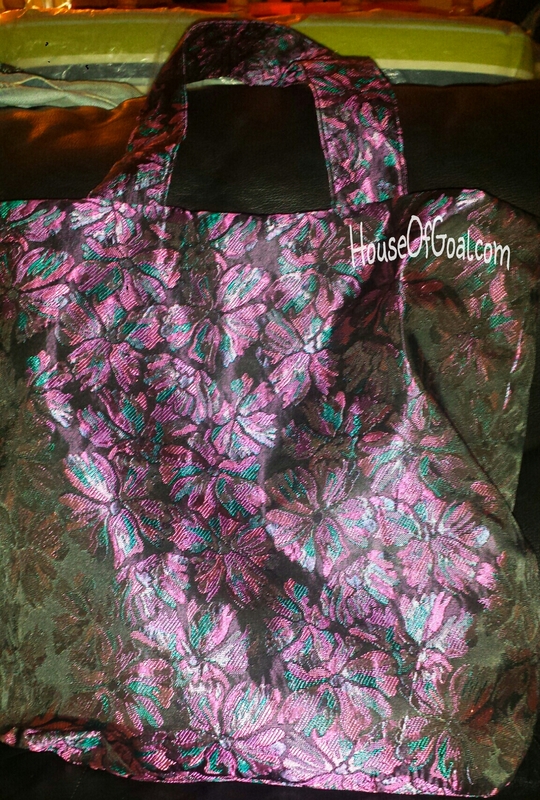 This tote is 15 inches tall, 16 1/2 wide. With 2″ wide straps that are a foot long. As well as an inner 9″ pocket paired with a zipper closure.